We recently held an industry event celebrating our latest issue of the Texas Wedding Guide, Spring 2018. 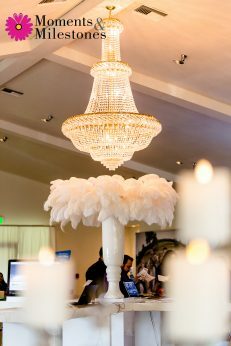 The big star of the evening, however, was the unveiling of our new website, www.TexasWeddings.com. 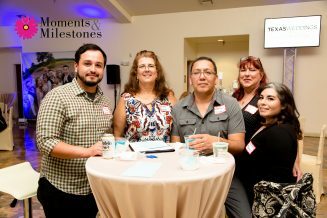 Those who attended the big event April 18 at Granberry Hills Event Facility had the chance to get hands-on with the new site, as well as just enjoy a great night of relaxing with their fellow wedding professionals. There were three signature drinks, courtesy of Cheers Party Services: The Frozen Lowman, Reps on the Rocks, and the Backoffice Blues. They all paired perfectly with the delicious food from Heavenly Gourmet Catering. A big thanks to all the pros who helped us put on the great tech-themed event. Linens and centerpieces by Events by A Touch of Elegance were perfect with the furniture from Vision Lounge Rentals used as the computer “genius” bar. 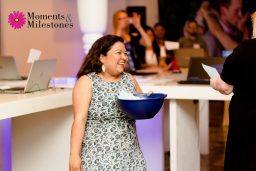 Encanto Rojo Photography & Video captured the whole event on film (coming soon!). 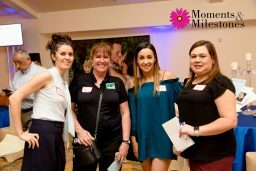 Even if you couldn’t be there, you can get a feel for the event from these great images courtesy of Moments & Milestones Photography.